I'm 0 for 2 with new production Dunhill pipes. Both gone. 0 for 1 with Cavicchi. Gone. I gave the White Spot a go back in 2015 --- got one mailorder from a shop in Italy because they have better prices than here. I'd always wanted a 305 "riding pipe" stubby billiard and a new modern version popped up so I went ahead and got it. I was extremely disappointed when it arrived. You'd think it'd be somewhat easy to drill straight on such a short shank, but alas apparently not. The stem was wonky too. Totally off-center and airhole high in the heel. Somewhat of a clusterfock to return it due to international purchase. I decided to test the famous White Spot Guarantee and try to return it to an authorized dealer because that what it says. A bit of tribulation but I finally got an authorized dealer to honor the guarantee and I got shop credit. The whole experience left a bad taste in my mouth. I hope that their quality has improved since then. I was astounded that they'd let such a pipe out of the shop and into the world. I would be completely & totally happy with that pipe..... For under $120. 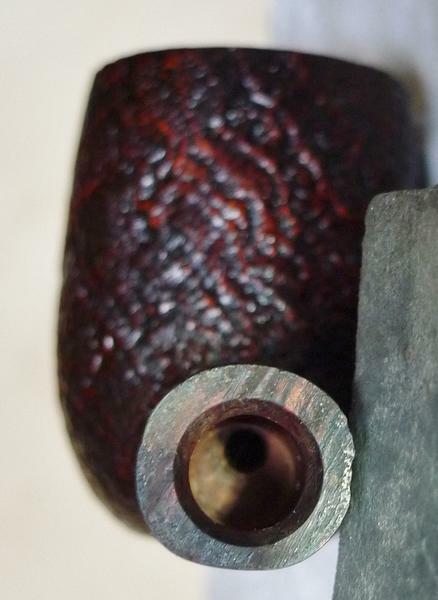 after all a pipe can be the most beautiful looking pipe that has ever graced the universe, but will it smoke better than my savinelli or butz choquin, two pipes that are fantastic smokers and 10 times less cost to buy. I want a pipe with classic English style and "heritage" that also smokes like a champ. It probably bears mentioning that my best "britwood" smoker is literally a basket pipe, stamped "Made in London, England." I bought it for $10. It's a sandblast with awful grain, so it ain't much of a looker. Nevertheless it smokes a lot better than some of its more expensive stablemates. Too much heritage in some of those, maybe. 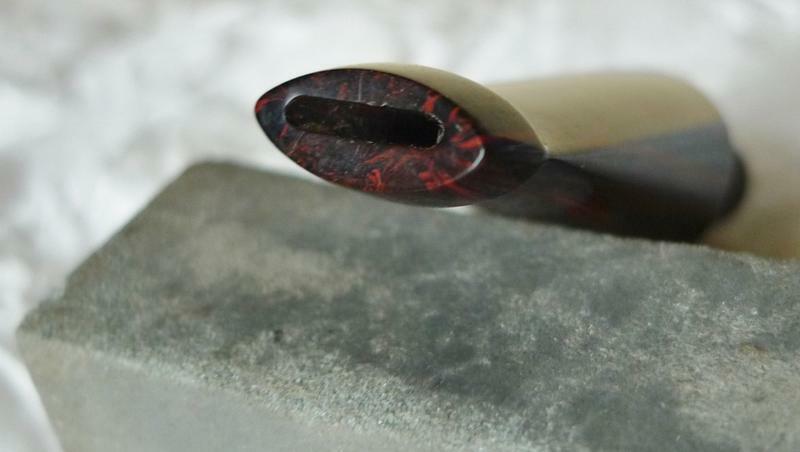 The new Dunhill stems are worth the price for me, i only order from The Uk or Italy, never in the states. I’m yet to find another pipe that’s stems feel as good as Dunhills do. I’m sure they are out there, but I’m yet to find them. I have maybe 2 dozen Dunhill from all different era’s and the stems have stayed consistent as far back as my Vernon tenon until one that was cut a few years ago. I have heard from a very reliable source that they buy in the bowls from France. I had a relatively recent production Dunhill pot that I sold to someone on the old site (can't remember who now) and it was a very good smoker, it just never spoke to me for some reason. I’ve heard this claim many times, but it doesn’t make much sense. Why would Dunhill retain a frasing/turning plant in England if they buy bowls from an external source? It is a matter of fact, not rumor, that the plant exists. Well I guess it still takes quite a lot of work to hand cut the mouthpieces, fit them to the stummel and finish the pipes. I'd guess it's probably not a particularly large operation. The person I heard it from is a well known pipe guy over here in the UK who was told it by the Dunhill rep.
At the risk of getting too far off topic, it appears that the place on St. Andrew's Road is now permanently closed. It does look like they also made their leather goods on the same site. The finishing operation is in the Walthamstow plant, where they make leather goods. It is not a large operation. In the recent past, Walthamstow was only for finishing, and for handmade quaint type things. There was a separate plant to turn bowls for Dunhill / Charatan. Has that second plant closed? Maybe Richemont is done making custom goods in the UK. I was not aware of the second place. The plot thickens! I mean, it would not bother me if they were in fact importing bowls from France / Italy / Spain (the source always changes, depending on who is telling the tale), but it never made any sense since they were known to have a facility to turn bowls. Someone posted a photo of a man at work in the humble Dunhill pipe shop a couple months ago. Not sure where it was posted but I noted that there weren't many tools to be seen. Lots of boxes of stuff but the shop was suspiciously organized. I just saw those pictures whilst trying to find info on the current factory and I thought the same about it being suspiciously organized. New Dunhills are out of my price range! However I recently found an old Dunhill Patent that I dated to 1954. For 80 bucks and some TLC it’s gonna be an awesome pipe. Has anyone come across a Dunhill manufactured in 1990? Always wanted a birth year Dunhill but have searched to no avail. Can’t even price it out. Correct. In 2015, I paid $379 for this Chestnut, the exchange rate was super favorable then. The build quality is terrific. 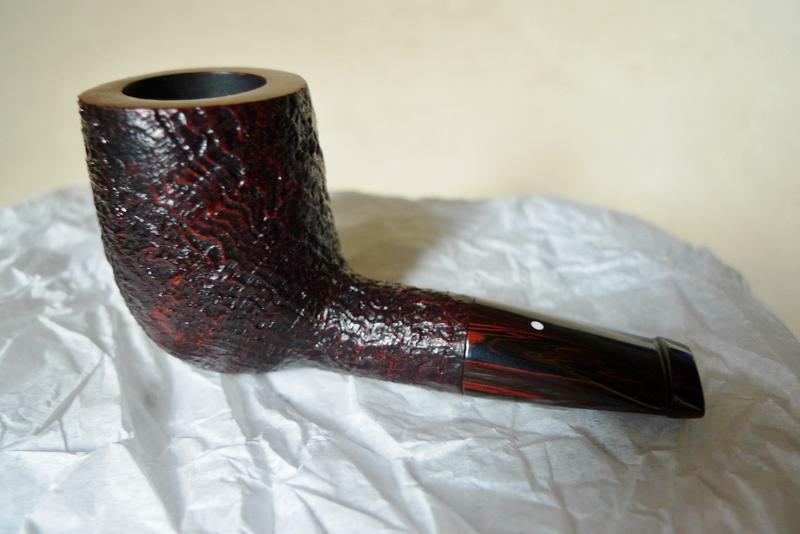 I bought a Castello Trademark bulldog at the same time from ThePipeRack.com, for about the same price. 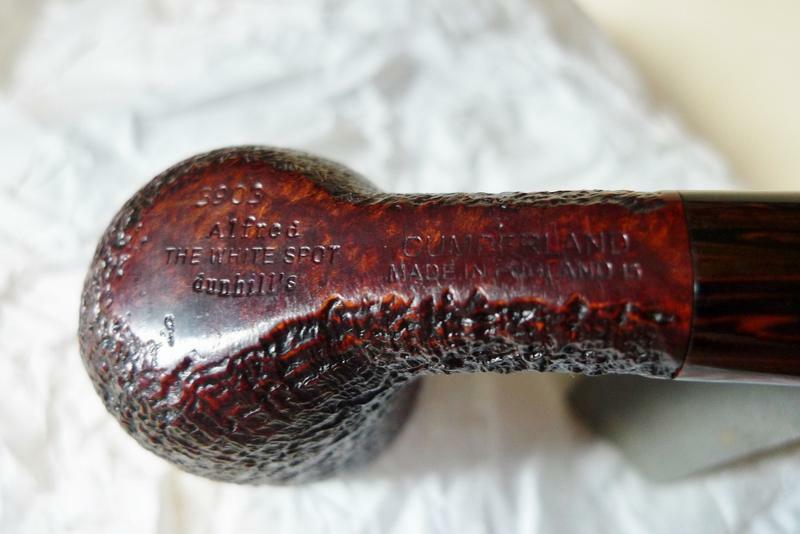 The Castello is a very good pipe, the White Spot is a great pipe. Button/tenon work on the White Spot is far better than the Castello's details. But, at going rates, I would pass on a White Spot and the feedback on current production definitely seems to be dimishing. That's due in part to not many folks taking a chance on them lately.